Recently I was lucky enough to be able to cash in some of my Avios points and visit the Far East. 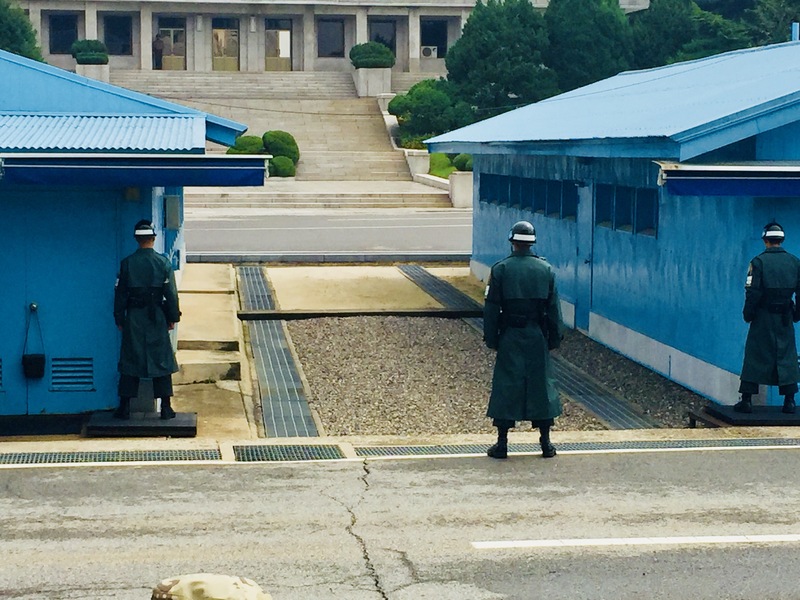 On the return journey home I had to fly back through South Korea so spent couple of days in Seoul and decided to visit the JSA / DMZ area for the day. 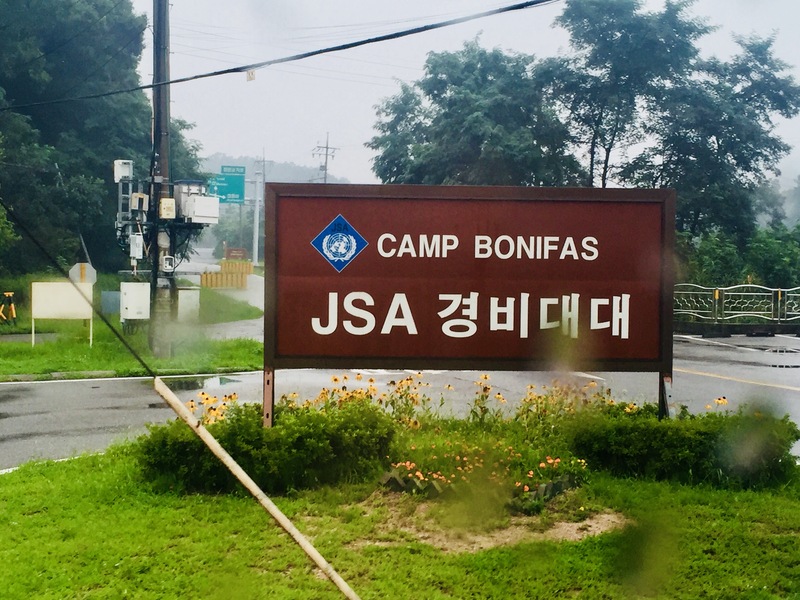 The journey from Seoul by coach is approx 2 hours to Camp Bonifas. Security is tight as you would imagine as it’s still an active war zone. Look at the photos below. 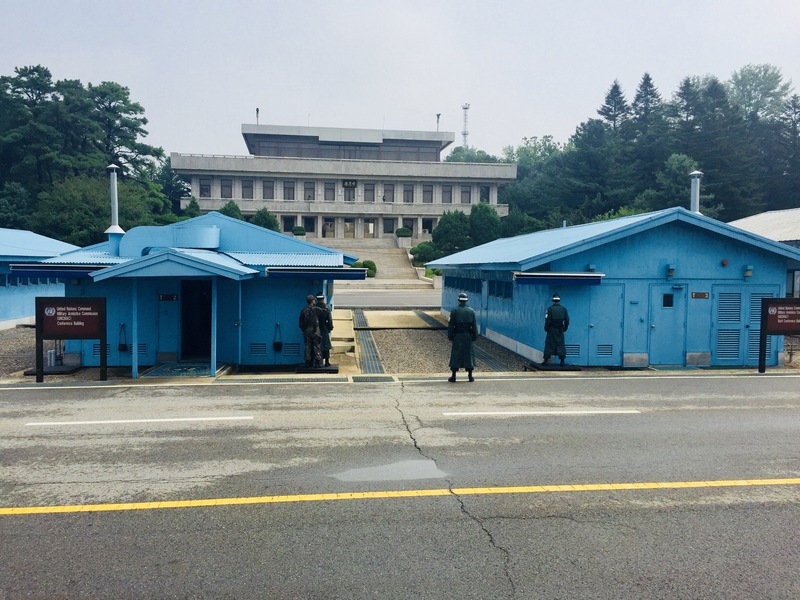 The JSA/DMZ is situated on the 37th parallel and is the area between South and North Korea. It’s protected by an international peace keeping force, but mostly US troops. On arrival at Camp Bonifas you have to go for a briefing At the Welcome Building and also to sign an indemnity form ( you are in a war zone) . 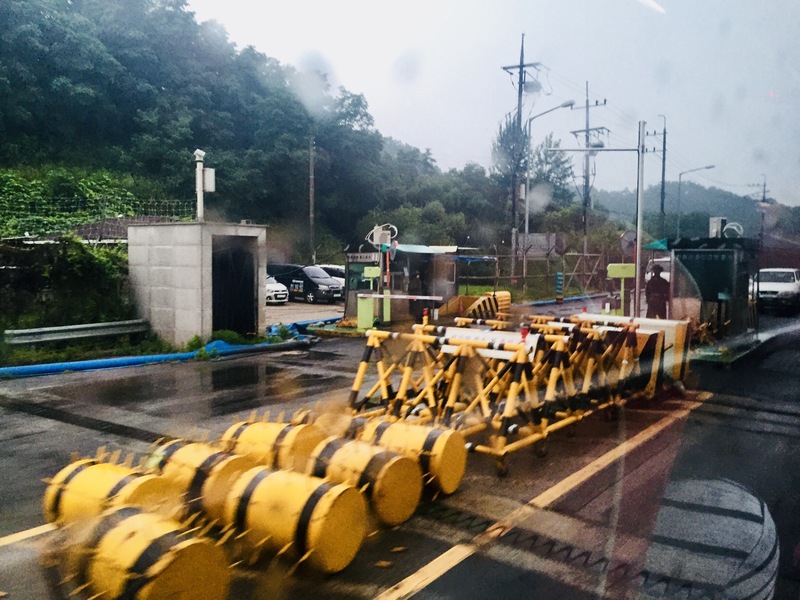 This takes about 30 mins and then you are on your way to the JSA area in the DMZ on your coach. At the main JSA area again another briefing. 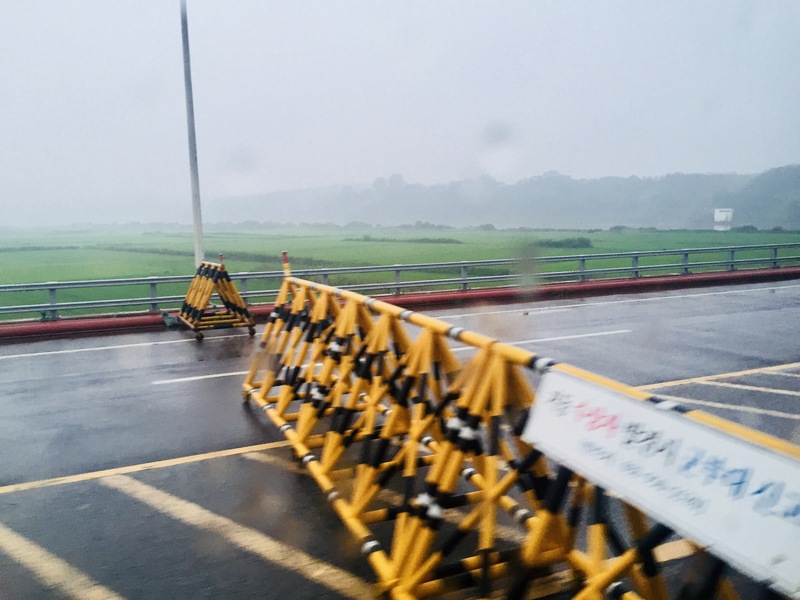 No photos are permitted on the South Korea side you are told, but it’s OK to take them towards North Korea. You then come out of the JSA buiding to a range of small blue JSA buildings that are 50% in the South and 50% in the north. 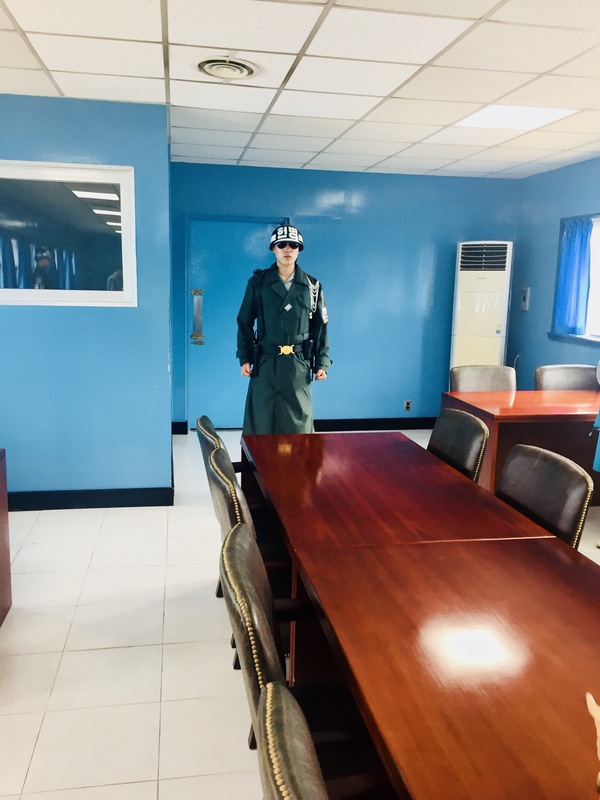 Inside are South Korean guards and a conference table. Half of the room is in the south / half in the north. This is where negotiations are reported to take place. Bizarre experience. On leaving the JSA area the coach takes you to The Bridge Of No Return. 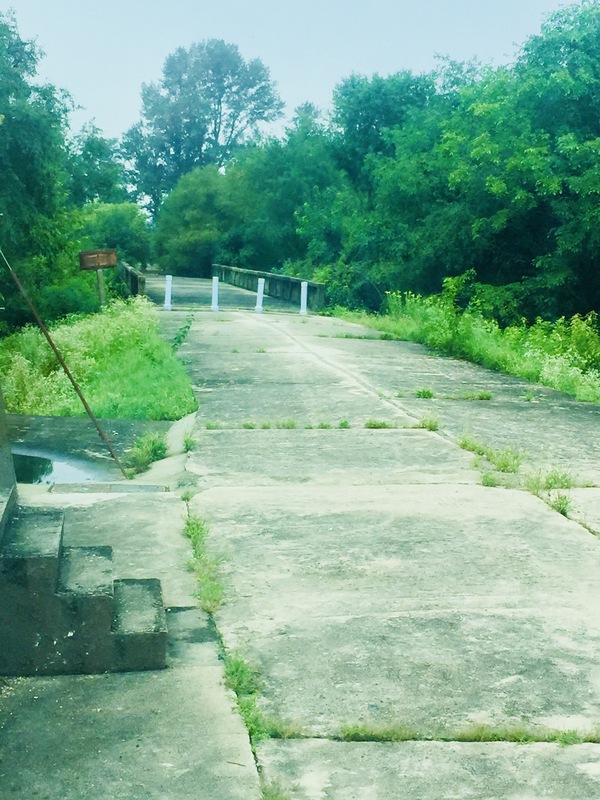 This bridge was used as a route where South and North used to exchange prisoners. It’s pretty desolate now and quite erie to think of all the things that happened here. Finally after a visit to the ‘gift shop’ we return to the main entrance. All in all about a 2 hour experience but very well worth it. If you are ever in Seoul try to go before it gets too dangerous. At the time of writing this in August 2017 it’s probably going to stop pretty soon.